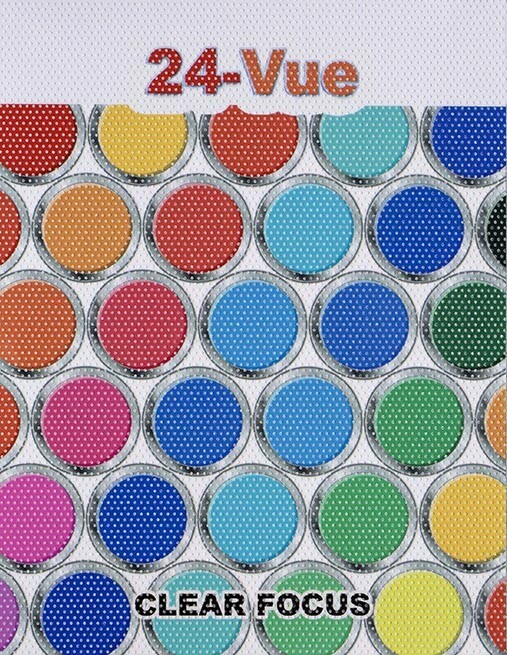 24-Vue is a 5.5 mil semi-clear perforated window film that provides two-way visibility on glass, acrylic and other clear substrates where visual communication is desired during both day and night. During the day, the graphics are visible and vibrant from natural ambient lighting. At night, graphics printed on one way white/black window perforated film become less visible or washed-out because of interior lighting shining through the film. 24-Vue provides a translucent solution that pops when graphics are backlit at night. Proper lighting is an essential element in controlling the visual effect. 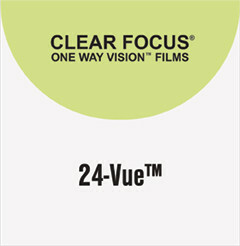 One way vision film is black on the see-through side, so your graphic is only one-sided. 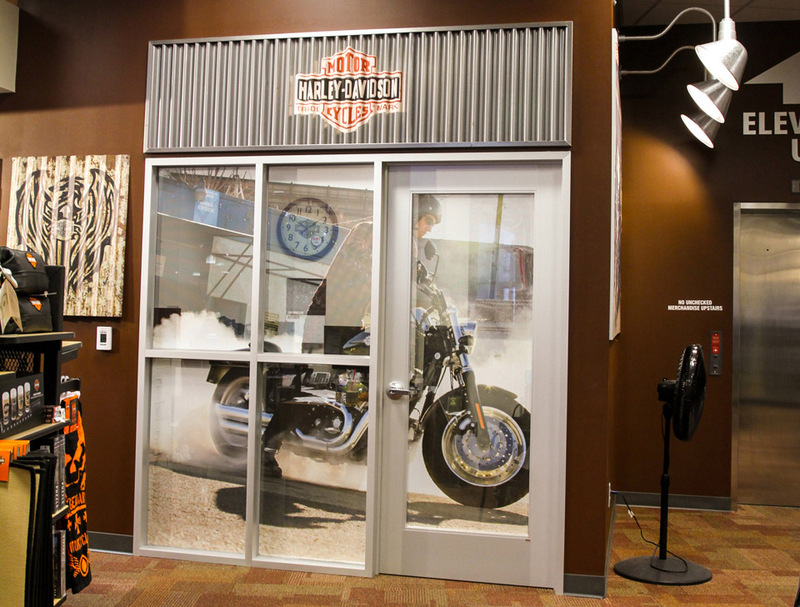 24-Vue provides a solution for applications requiring a graphic to be visible from the inside looking out. Recommended for use with solvent and UV curable printers. Ideal soluton for short-term POP, retail and commercial applications up to one year.